The person who has confirmed a reservation and/or made the advance payment (hereinafter: the client) establishes a legal relation with The Charter Company, and confirms that he agrees with the general charter conditions. Everything described in these general charter conditions represents a legal obligation for the client, as well as for The Charter Company. These conditions are the foundation for settling any eventual disputes between the client and The Charter Company. The charter prices are published in Euro (€), in the currently valid The Charter Company price list. 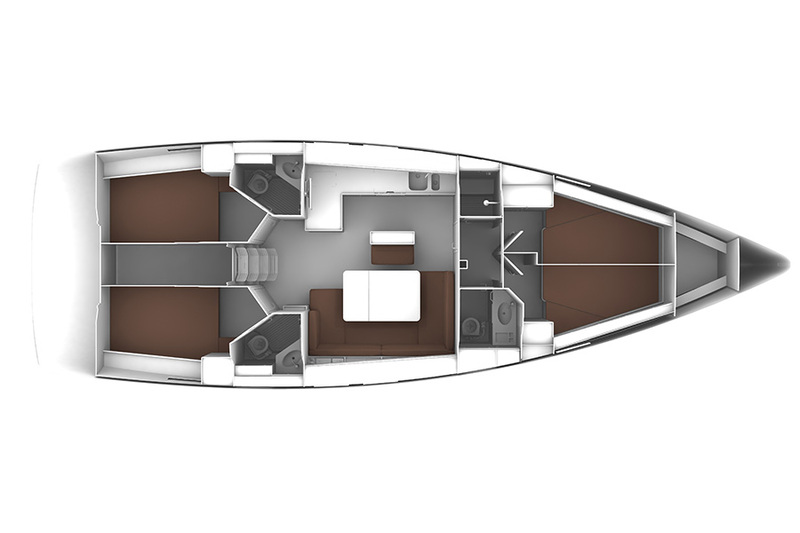 The stated prices include a technically adequate, clean boat with a full fuel tank, usage of the boat and its equipment, compulsory and hull insurance, accident insurance for the crew (covering disability and death), mooring in the home marina, Croatian sailing permit, and a concessionary approval for the boat. The stated prices do not cover the costs of mooring and taxes in other marinas during the charter, fuel costs and costs of other necessities, car parking, and medical insurance for the crew. In order to confirm the charter reservation, the client makes an advance payment in the amount of 40% of the charter price. The remaining amount up to the complete value of the charter is paid at the latest 3 weeks before the beginning of the charter. The client can only take over the reserved boat under the condition that all necessary payments have been properly made. In a case when client wishes to change the charter characteristics or cancel the charter, this must be done in writing (e-mail, fax, or post). - For cancellations up to two months before the beginning of the charter, The Charter Company charges 30% of the total charter price. - For cancellations up to a month before the beginning of the charter, The Charter Company charges 50% of the total charter price. - For cancellation within one month before the beginning of the charter, The Charter Company charges 100% of the total charter price. - For cancellations after takeover of the boat, The Charter Company keeps 100% of the total charter price and charges the client for all costs arising from the cancellation. In a case when cancelling client manages to find a substitute client, who is willing to take over his rights and obligations, The Charter Company only charges the direct costs caused by the client change. 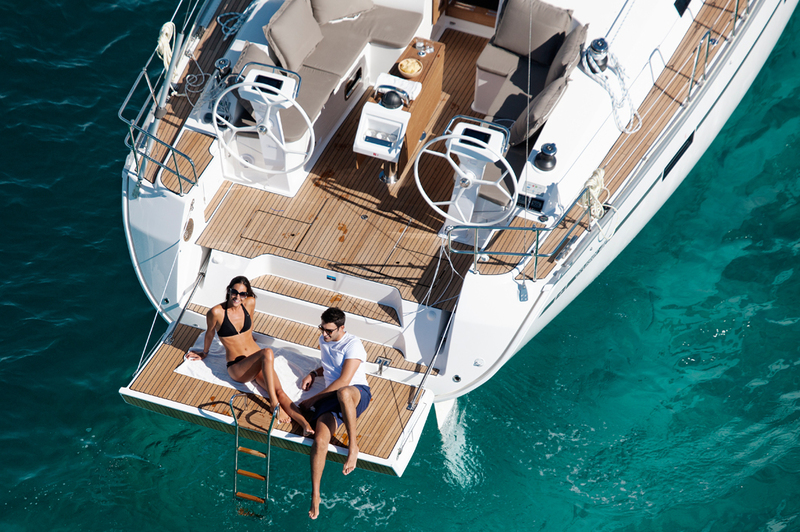 In case the cancellation is due to objective reasons on the client's side (death in the family, serious injury), The Charter Company will not refund the advance payment, but will rather arrange a suitable boat in the next available date or in the next season. The Charter Company does not assume responsibility in case of changes or cancellations, which are due to force majeure (higher reasons) or forces of nature (war, riots, strikes, acts of terrorism, extraordinary sanitary conditions, natural disasters, extreme sea or weather conditions, interventions by competent authorities and the like). 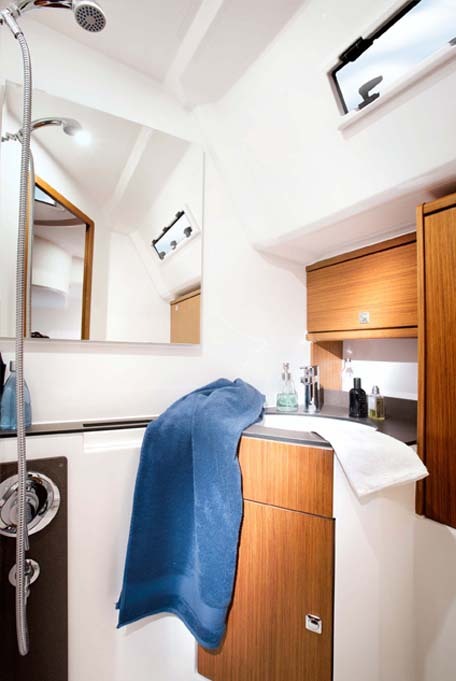 The Charter Company obliges to provide the client with a technically adequate, completely equipped boat with a full fuel tank, clean and tidy, ready for sailing, after 05.00 PM first day of the charter. Before takeover, the client is obliged to provide the The Charter Company base with a verified voucher, which indicates that the total charter amount has been properly paid. The client leaves The Charter Company a compulsory security deposit, which guarantees the compensation of all eventual losses or damages during the charter, even if they are not covered by the insurance policy. The deposit is made in cash, with a blank credit card slip, or with an automatic preauthorization. The deposit is refunded to the client in full, after The Charter Company representative ascertains that the boat was returned at the agreed time to the agreed place, tidy and undamaged, with a full fuel tank, and under the condition that no claims from third parties are placed, or are expected to be placed, against the client in connection with his use of the chartered boat. possible, due to the damage and/or loss caused by the client, The Charter Company keeps the amount of the deposit accordant with the lost profit. 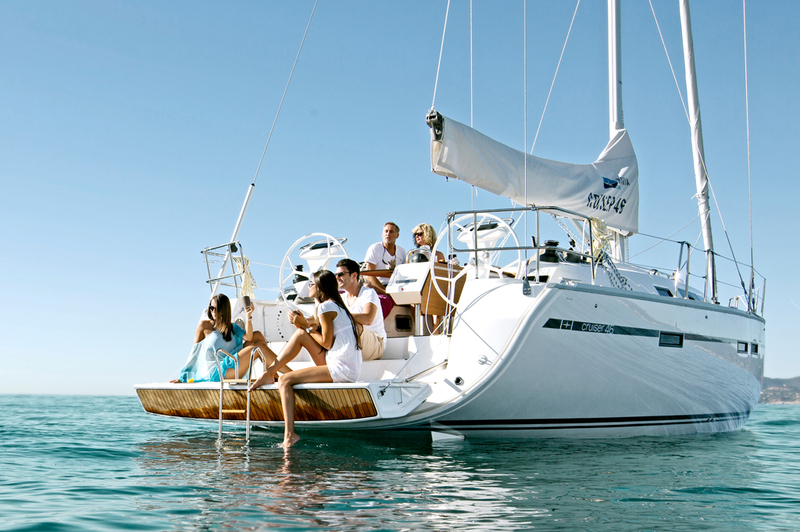 The deposit is obligatory even in cases when a boat is rented with a skipper provided by The Charter Company. In case the client, without previous notice, fails to take over the boat within 48 hours after the agreed check-in time, The Charter Company is authorized to one-sidedly terminate the charter contract, and the client does not have the right to subsequent reimbursement claims. If for whatever reasons The Charter Company is unable to hand over the boat at the agreed time and place, The Charter Company is given a time limit until 12.00 PM next day to provide the client with this or another boat of similar characteristics. In a case if The Charter Company fails to do so, the client is authorized to terminate the contract and is entitled to a full reimbursement of payments made to The Charter Company. In case the client decides to wait for a substitute boat outside the agreed time limit (12.00 PM), he has the right to claim a reimbursement of an amount equal to the value of charter days in which he was unable to use the boat. The Charter Company's responsibility for any amount higher than the agreed charter price, as well as for any other compensation claims by the client, is excluded. equipment, which could not have been known to The Charter Company at check-in, as well as defects or damages which arose after the check-in and could not have been anticipated by The Charter Company. 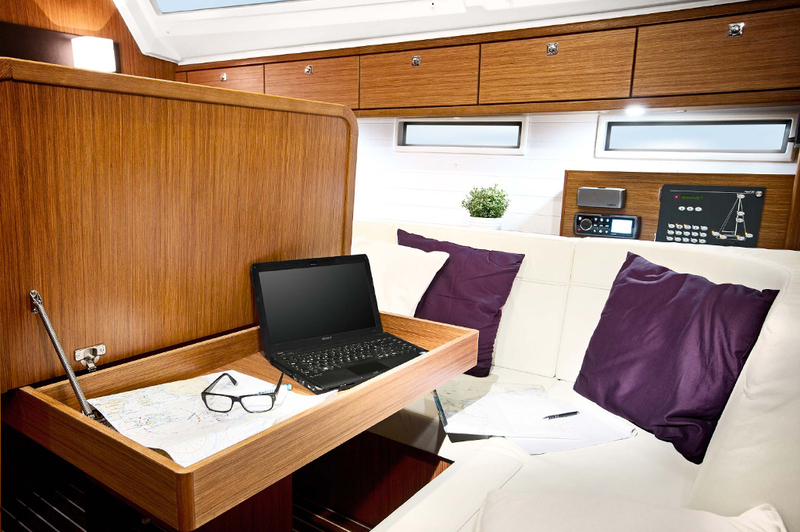 The client takes over the boat with all valid documents necessary for charter (permit, Insurance policy, crew list…) and all other documents and enclosures in the boat's folder (list of captaincies, fuel stations…). The client is obligated to handle the above mentioned documents with care and return them to The Charter Company at check-out. The client is obliged to return the boat to the agreed place at the agreed time - 06.00 PM latest, the day before last day of the charter, with a full fuel tank, ready for next navigation; that is, in the same condition as it was taken over. The CHECK-OUT will be then performed till 09.00 AM latest, last day of the charter. Before the CHECKOUT, the client is obliged to take garbage and waste off the boat and leave it at the designated place in the marina and to take their own luggage off the boat. In case the boat is not returned to a port appointed by the charter contract till 06.00 PM one day before the end of the charter, client is obligated to cover the costs of diver for underwater inspection of the hull. If for whatever reason further sailing during the charter is impossible or an excess of the agreed return time is inevitable, the client must contact The Charter Company and the base manager for further instructions. The information about the notification must be entered into the boat's log. Undesirable weather conditions are not an acceptable reason for a delay of the return. possible, but only in accordance with a previous agreement between the client and The Charter Company. In a case that the boat is returned to a port not appointed by the charter contract, the client is obligated to cover all The Charter Company’s costs arising from the transfer of the boat to the agreed port, as well as the regulated charge for lateness (in case of lateness) and all damages that have occurred during transfer, if not covered by the insurance policy. 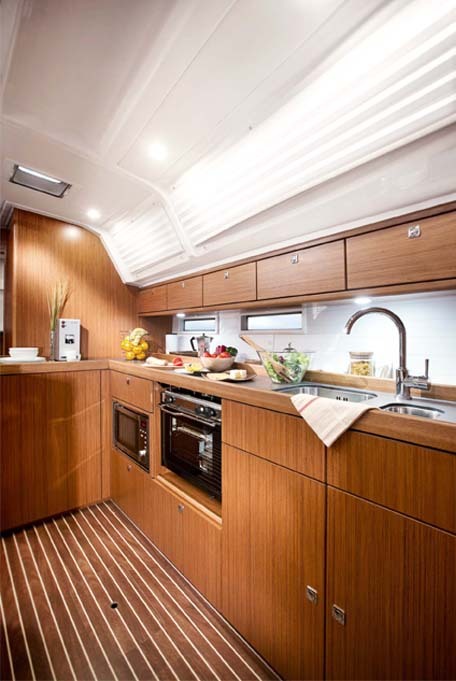 When the boat is returned (check-out), The Charter Company representative checks the general condition of the boat and its equipment, and compares it to the check-in list, which was signed at check-in. In case the boat is not returned with a full fuel tank, the fuel, as well as the service of filling the tank, will be charged to the client. Price of a liter of fuel then will be 50% higher than the currently valid, and stated on the check-in list. - provide The Charter Company with a crew list containing full names, addresses, birth dates and birth places, nationality, type and number of an identification document, and the skipper's boat leader license number, not later than 1 week before the beginning of the charter. - have valid passports or ID-s. The costs of eventual loss or theft are excluded from The Charter Company’s responsibility and the takeover of the boat cannot be done without valid documents. - check the printed material provided on the boat. - handle the boat, its inventory and equipment with care and behave with full responsibly in every way. - handle the boat without the influence of alcohol and drugs. The insurance companies will not cover the damages under influence of drugs or alcohol. 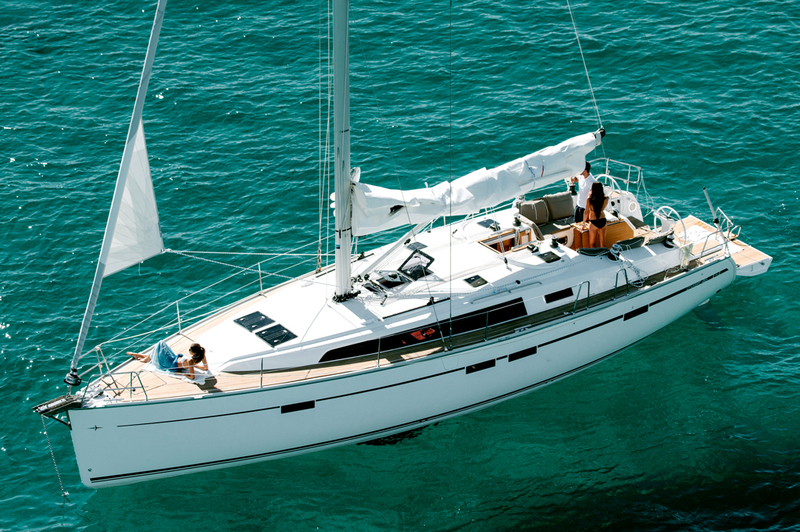 - sail within the borders of the territorial waters of the Republic of Croatia. Leaving Croatian territorial waters is only allowed upon previous written consent from The Charter Company. 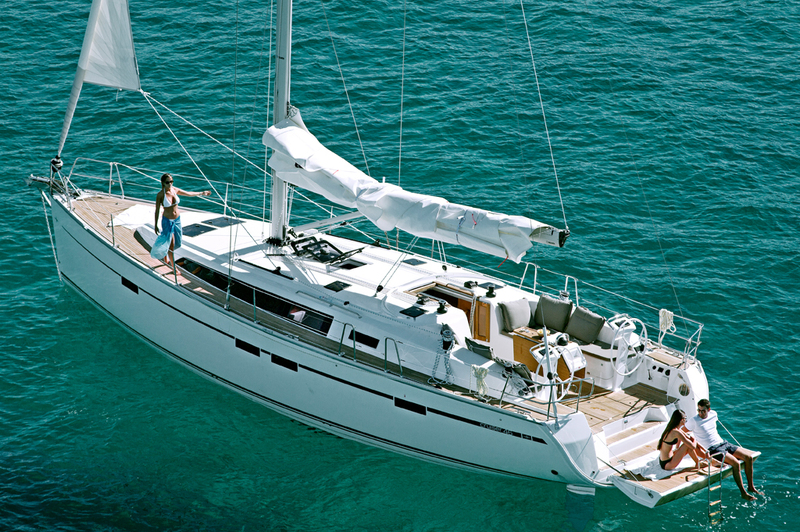 - sail only in safe weather conditions and at good visibility, and to avoid dangerous territories. - adjust the sailing to weather conditions and the crew's capabilities, and not allow unnecessary burdening of the mast, sails and ropes not to leave the protective harbor or anchorage if winds over 6 on the Beaufort scale are forecast. - not leave the harbor or anchorage in case the boat or one of its vital parts is damaged and/or unsafe for sailing. - not leave the harbor if port authorities have issued a prohibition of sailing or in case of insufficient fuel supplies. - not use the boat for commercial purposes (transport of goods or people for compensation), professional fishing, sailing school or similar activities. - not rent or lend the boat to a third party. - not board more people than the boat is registered for, and not to allow people not stated on the crew list to stay on the boat. - not participate in regattas or races without a previous consent from The Charter Company. - not tow another boat and to take all possible preventive measures to avoid a situation in which the chartered boat would need to be towed. - agree that the charter agreement is terminated, in case if any of the crew members broke a valid regulation and/or law or the Republic of Croatia. After this the boat is at The Charter Company's disposal, and the client does not have any right to compensation from The Charter Company. The Charter Company renounces any kind of responsibility towards state authorities; the client takes sole responsibility for law violations and crimes committed. - assume responsibility and compensate all costs for which is established that they were caused by actions or commissions of the client's side, and for which The Charter Company is materially and criminally responsible to a third party. - the client's responsibility for violations of sailing and other rules and regulations, which were done during the charter, does not cease with the end of the charter. - in case of damage, accident or brakeage of the boat, the client is obligated to record the stream of events, immediately notify The Charter Company, file an accident report to the closest port authorities, and demand a verification from the harbor master, doctor or other competent authority. 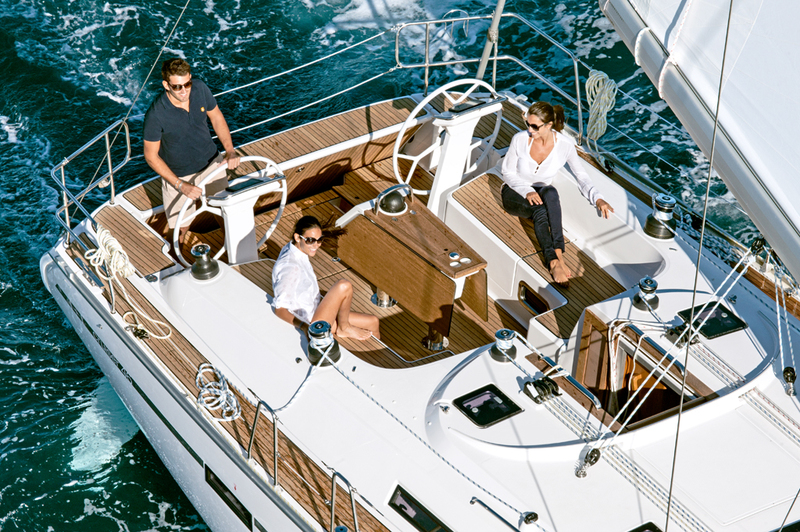 - notify The Charter Company immediately in case of any defect of the boat or its equipment. The Charter Company is obliged to repair the defect within 24 hours from receiving the notification. In case The Charter Company repairs the defect within 24 hours, the client has no right to compensation. Emergency telephone numbers for defect notifications are in the boats' documentation and/or on the boat’s hull and the check in list. - fully compensate for any damage caused by his negligence or omission, which is not covered by insurance, and for which The Charter Company is responsible to a third party. - in case of disappearance of the boat or its equipment, inability of sailing, confiscation of the boat or sailing prohibition by the government or a third party, the client must immediately notify the competent authorities and The Charter Company, and demand a copy of the police report. - assume full responsibility in case of confiscation of the boat by competent authorities, due to irresponsible or illegal actions of the crew. - be fully responsible for sea contamination during the filling of fuel tanks or dropping waste outside required places. - check the oil level in the engine every day. Damages and losses caused by an insufficient oil level in the engine are the client's responsibility. - take pets (dogs, cats, etc.) aboard only with a previous permission from The Charter Company. No pets are allowed on board, without preliminary agreement. The client is materially and criminally responsible for his actions during the charter. The skipper of the chartered boat is obligated to posses all necessary nautical knowledge and skills, as well as a valid boat leader's license and VHF/GMDSS radiotelephony license and bring it to the boat. The Charter Company may ask the skipper to demonstrate his knowledge and skills at sea, in the presence of an The Charter Company representative. The time used for this testing is included in the time of the charter. In case an The Charter Company representative establishes that the skipper does not posses the appropriate knowledge, experience and/or valid licenses for sailing, The Charter Company can appoint a professional skipper to join the crew, at additional cost according to the valid price list. In case the client does not accept the appointed skipper, The Charter Company has the right to forbid the client from sailing out with the boat, terminate the contract, and keep the full paid amount. The client has no right to reimbursement. If the client knows in advance that he will need skipper services, he should notify The Charter Company upon reservation or make his own skipper arrangement. All yachts are properly covered with liability insurance and comprehensive coverage for charter business. 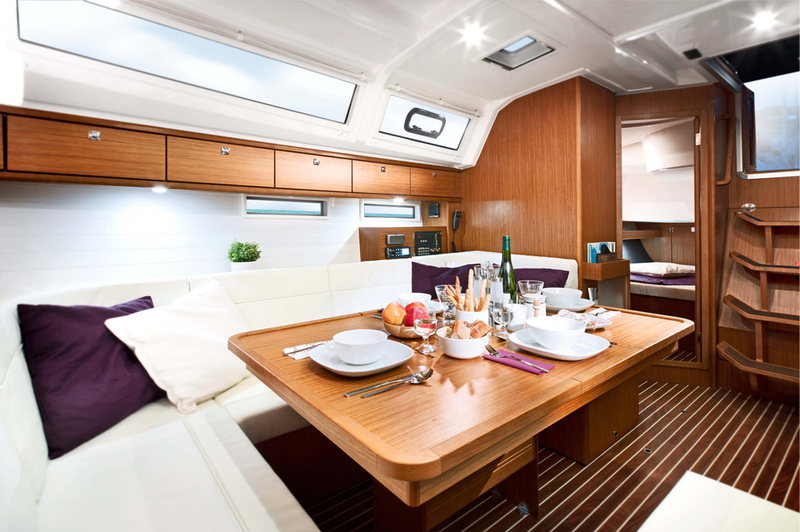 The Charter Company is not responsible for loss and/or damage of the client's and crew's possessions, or third parties' possessions, which are kept on the boat, in an official The Charter Company vehicle or the The Charter Company office. By paying the advance payment and accepting the general charter conditions, the client renounces any rights to compensation by The Charter Company, in connection to loss and/or damage to personal possessions. All damages and/or losses must be reported to The Charter Company immediately after their occurrence. In case of serious damage or accidents in which more than one vessel is involved, the incident must be reported to the competent port authorities, who must provide proper report documents, which subsequently need to be handed over to the insurance provider. In a case when damages covered by the insurance policy were not properly and timely reported to The Charter Company, the competent authorities and the insurance provider, even though all necessary documentation exists, will not be covered by the insurance provider. In this case, the client is fully responsible for the damage and will be charged accordingly. 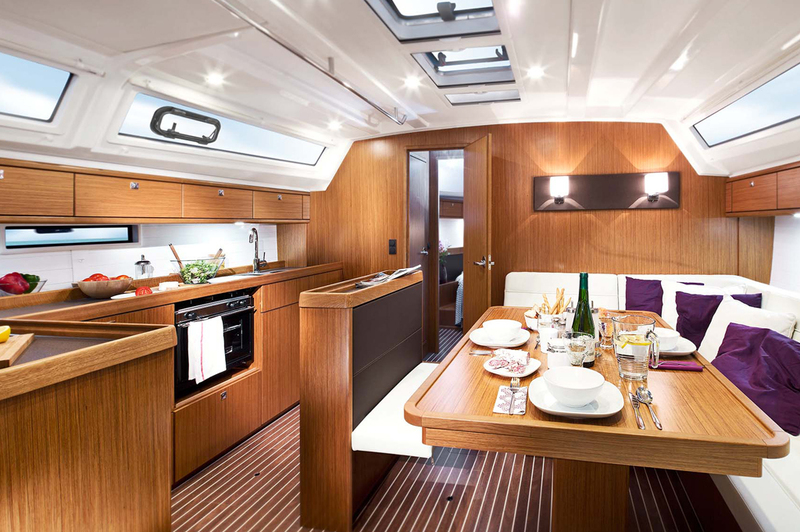 When the boat is damaged, the client is obliged to cover all costs according to the conditions of the hull insurance, but only up to the amount of the security deposit. The costs of damages caused by negligence and/or loss of one or more parts of the equipment are fully covered by the client. The client's liability is limited to the amount of the security deposit - unless the cause of damage is gross negligence or intention, drugs or alcohol. The sails are not insured, the costs of eventual damage are covered by the client. 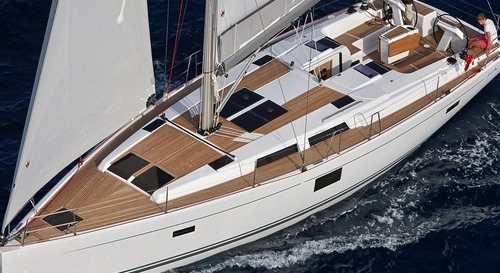 The client's responsibility is excluded only when damage to the sails is caused by normal wearing out of the sails or by brakeage of the mast. Engine damage caused by an insufficient oil amount is not covered by insurance and is covered by the client in full, as well as any damage resulting from the engine damage. 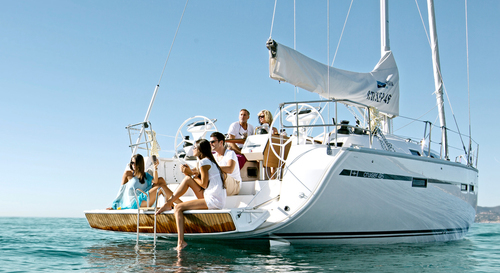 In accordance with the Law on Tourist Activity (NN 8/96), in case of insolvency or bankruptcy of The Charter Company, the client any such possible difficulties while chartering a boat, as well as persons which paid down payments for a charter should contact the provider stated on the travel certificate or on another corresponding document as soon as possible. All damages and defects that have occured on boat while chartering, and which are not a result of natural wearing out of the boat, are paid by the client. Before making any repairs or purchases, the client is obligated to contact The Charter Company and agree on the technical compensation of the repair and the manner of payment. All damages and defects that occur on the boat during the client's chartering, and which are a result of natural wearing out of the boat, will be covered by The Charter Company. Before making any repairs, the client is obligated to make an agreement with The Charter Company about the technical and financial compensation of the repair. The client will cover the bill in this case, on spot, if necessary, and obliges to keep the invoice, so that the The Charter Company can refund the payment in full upon check-out. The client obliges to notify The Charter Company about any breakages and damages, immediately after they occur, and no matter what the cause is. The Charter Company will instruct the client about the proper course of action. Unauthorized repairs and equipment replacements will be paid in full by the client. Every client has the right to a complaint, if he considers The Charter Company's services to be incomplete and/or not qualitatively performed. The client may demand a proportional reimbursement, but only if a written complaint is lodged upon check-out, and all necessary documentation is provided. A written complaint must be signed by both parties – by the client and an The Charter Company representative. Subsequently received or incompletely documented complaints will not be taken into consideration by The Charter Company. The Charter Company is obliged to provide a written solution of the received complaint within 14 days after receiving it. The Charter Company is allowed to postpone the time limit for an additional 14 days, if gathering information and checking the complaint claims with the people involved is necessary. The Charter Company has the right to ask the client for compensation of eventual damages caused by such an action. The highest compensation can be equal to amount of the part of the service which was an object of the complaint. The client has no right on compensation for services that have already been used or for the whole amount of the charter price. This also excludes any rights to compensation of non-material damages. If the client is not satisfied with The Charter Company's solution, and is unable to reach a reasonable agreement with The Charter Company, he has the right to court arbitration. For cases like this and other cases of disputes between clients and The Charter Company, the jurisdiction court is in Rijeka, applying Croatian law. Any changes and additions to these general conditions are only valid in written form and with agreement from both parties.